Could Oasis Be Reforming For One Love Concert In Manchester? A member of The Black Eyed Peas accidentally set off the rumour that Oasis will be performing at the Manchester One Love concert this Sunday. 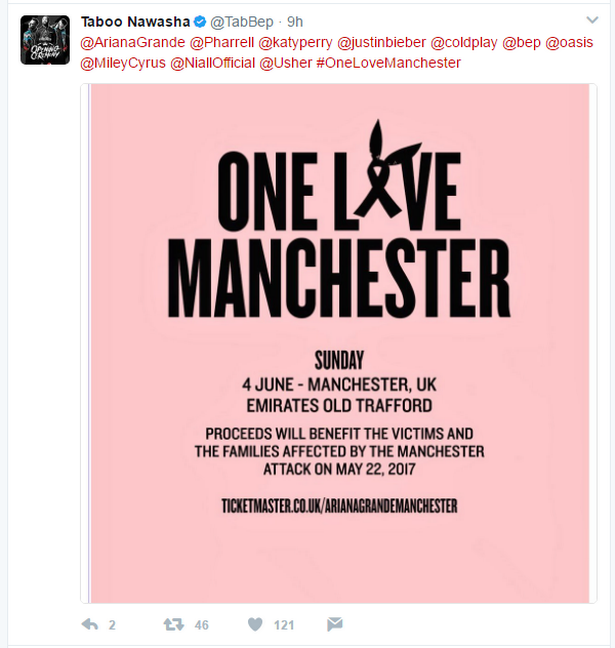 Taboo Nawasha casually tweeted a poster for the tribute gig at Old Trafford, tagging the artists who would be attending, and Oasis were on the list. 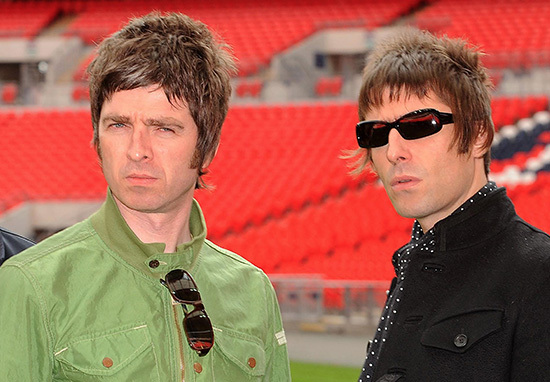 Noel, Liam Gallagher and the rest of the band split in 2009 and fans have been longing for an unlikely reunion between the brothers. The tweet is still visible in Taboo’s ‘Media’ posts, and it’s not clear why Oasis would be tagged along with every other artist playing the event. Ariana Grande revealed plans for the huge fundraising gig paying tribute to the 22 innocent people who were killed when a suicide bomber targeted crowds leaving Manchester Arena on Monday May 22. Liam played a gig in Manchester last night and lit 22 candles on stage in memory of the victims. Before this potential reunion, which I’m trying not to get my hopes too unreasonably high for, the most people had seen of Oasis together was the Supersonic documentary which was released in 2016.